MRF Tyres have been announced as the official tyre supplier for the CAMS Australian Rally Championship (ARC), Australia's national rally championship series. The Indian tyre manufacturer has signed a three-year deal as sole tyre supplier for the series, starting this year and extending to 2019. 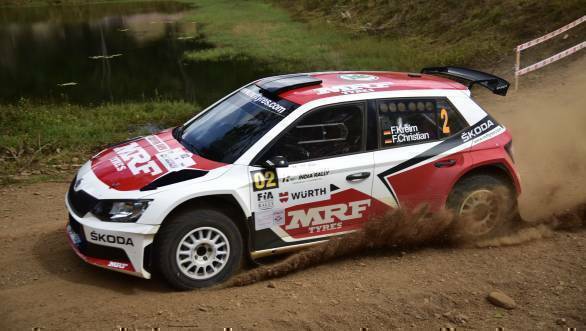 This is the second series in Australia that MRF Tyres have bagged a deal with, with the company announcing last year that they would be the official tyre supplier for the Queensland Rally Championship. Competitors in the ARC will be provided with MRF Motorsport Tyres, supplied by Mentor Tyres, the exclusive importer of MRF tyres for Australia and New Zealand. Mentor tyres, the exclusive importer of MRF Motorsport Tyres for Australia / New Zealand will be supplying and supporting ARC competitors for the next three seasons. Speaking on the occasion, Vivek Ponnusamy, CEO of Mentor Tyres, declared that MRF were committed to all forms of motorsport in Australia, and are in it for the long term. The 2017 Australian Rally Championship will begin in March, with the Eureka Rally, after which it heads to the western part of the country for the Quit Forest Rally in April, followed by the International Rally of Queensland in May. This is followed by a long break before the Lightforce Rally SA in September, with the National Capital Rally in October and the season finale - the Kennards Hire Rally Australia in November.